Yes, dog stress indeed! It would surprise you to know how many people have stressed out dogs. Can that be right? Dogs have an easy life don't they? Well yes, some do and some don't! Dogs are like people. Something that bothers me, might not bother you. Each dog is an unique individual in his own right. 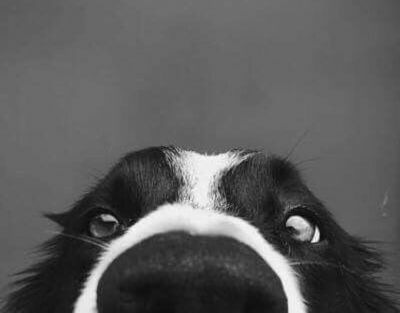 Is your dog behaving in ways that indicate he's stressed or worried about something? Is your dog experiencing a health problem with symptoms that are hard to resolve? Does your dog have behaviour problems that are causing everyone in the household to be stressed? No matter the cause, your dog's stress can have a huge impact on his health. The list of things that could potentially cause stress for your dog is endless. Here are some of the comments I have heard from people who contact me for help. Some stressful circumstances require a raised awareness level by the pet owner in order to relieve the dog's stress. Here is the list of common stressors. dealing with and recovering from a dog health problem. Illness is stressful for everyone in the household ( chronic ). 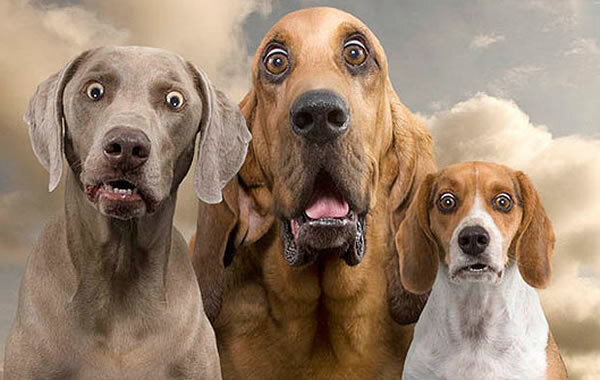 Many other causes of dog stress are possible of course, but all of these causes can be controlled by humans. We can fix it, or we can make it worse, depending on how we choose to see the circumstances. Are you thinking about your dog, or are you thinking about yourself. Whose needs are being met? Yours or the dog? Here are some other things you might be forgetting. From my holistic heath perspective and the information given to me by people who contact me for help, I can assure you that these things also cause much stress for dogs and should not be swept under the rug. Here are the top four things that influence the health of dogs by causing physical or emotional stress. I coach people who have sick dogs, so I see many stressed out dogs and stressed out people. Some dog health problems such as dog allergies or yeast infections can drive the whole household insane and cause stress beyond belief. The awful physical symptoms the dog is experiencing causes huge stress for the dog. The terrible emotional roller coaster experienced by the dog's people, sends the whole household spiraling downward. Nobody knows what to do about it! When your dog's body is under stress, your dog's adrenal glands secrete the ' flight or fright ' steroid hormone called cortisol. Yes, your dog's body makes it's own steroid! This is fine occasionally when it happens in short bursts ( situational ). ...that chronic long term stress causes chemical changes in the body and places excessive stress on the adrenal glands. Long term stress eventually wears out your dog's adrenal glands causing them to become fatigued and unable to produce adequate amounts of hormones. Your dog's body does not distinguish between reasonable situational anxiety stress occasionally, and chronic stress all the time. It doesn't matter what kind of stress it is. Stress is stress. This paves the path for other serious dog health concerns. Cushing's Disease and Addison's Disease are two examples of how chronic dog stress negatively affects the function of your dog's adrenal glands. Dog stress is a killer. Just checking...is it safe to come out, now? 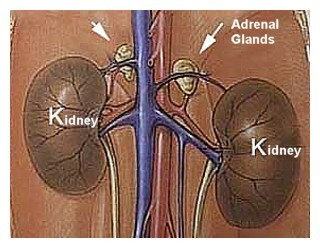 See those little tiny adrenal glands located right at the top of each kidney? Those little glands are of utmost importance. Adrenal glands help to regulate your dog's stress level by secreting a steroid hormone called cortisol.